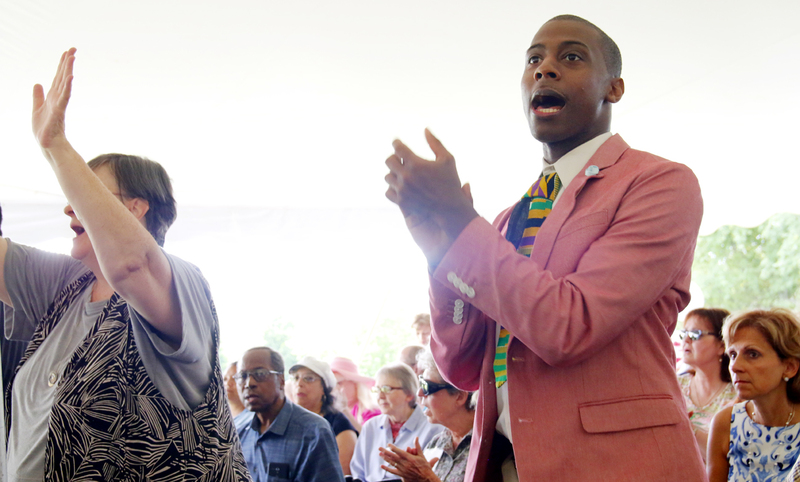 The St. Barbara Choir, led by Reginald Carter, leads the liturgical music of the anniversary Mass. 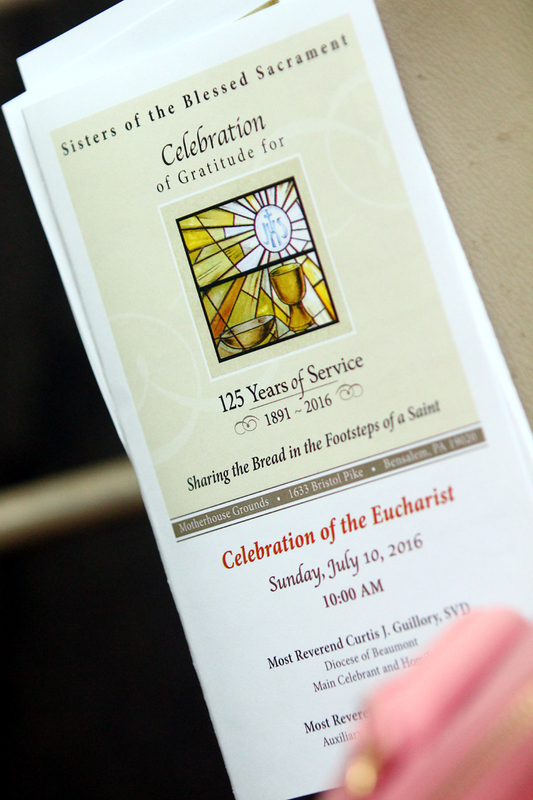 Bishop Curtis J. Guillory, S.V.D., opens the 125th anniversary Mass. 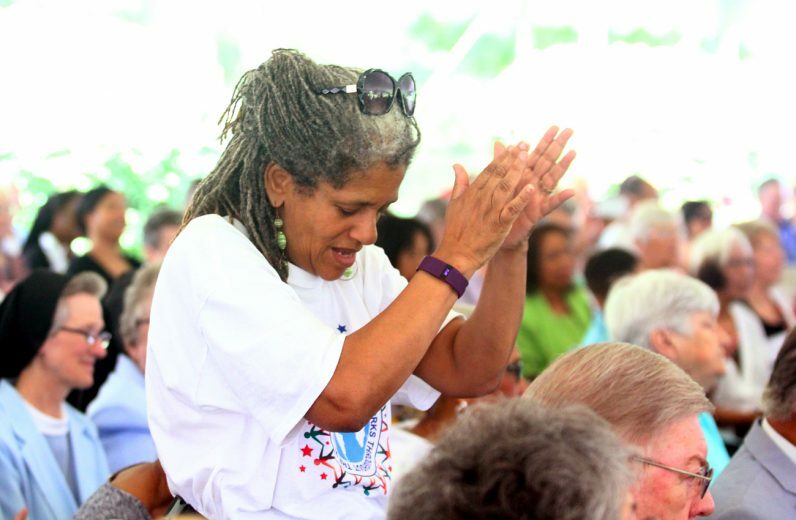 Joyce Hadley, associate SBS, prays. 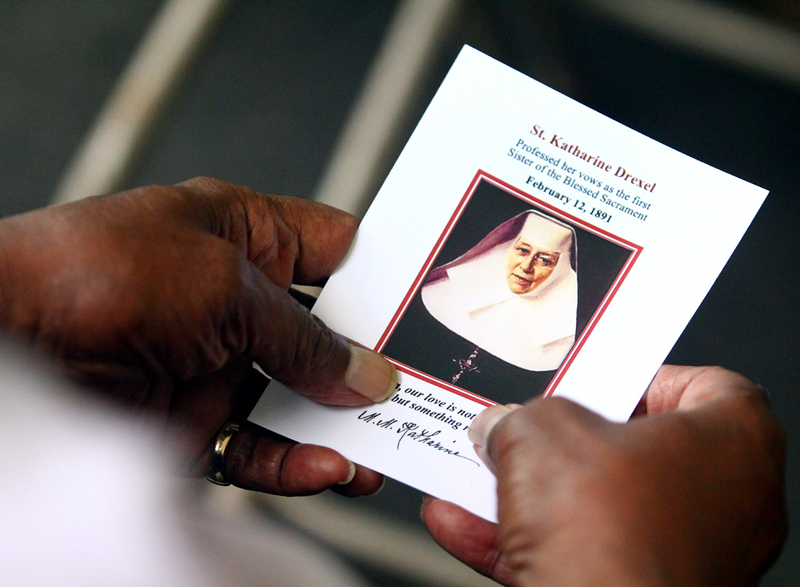 Members of the Saint Katharine Drexel Association offer one anohter a sign of peace. 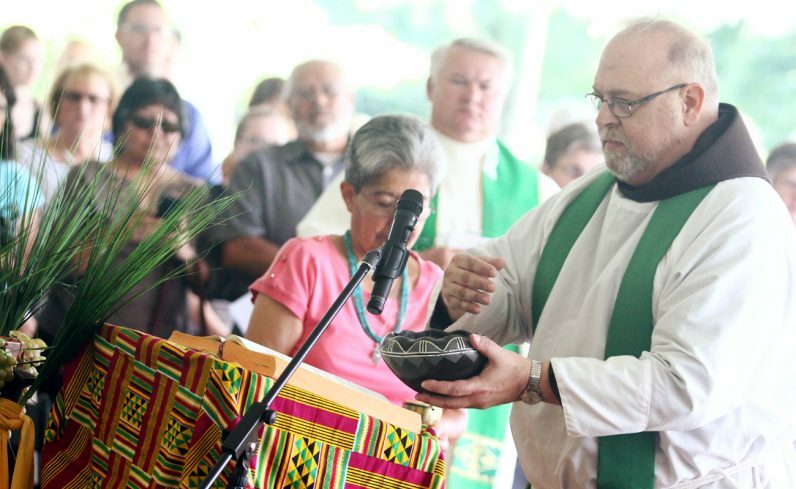 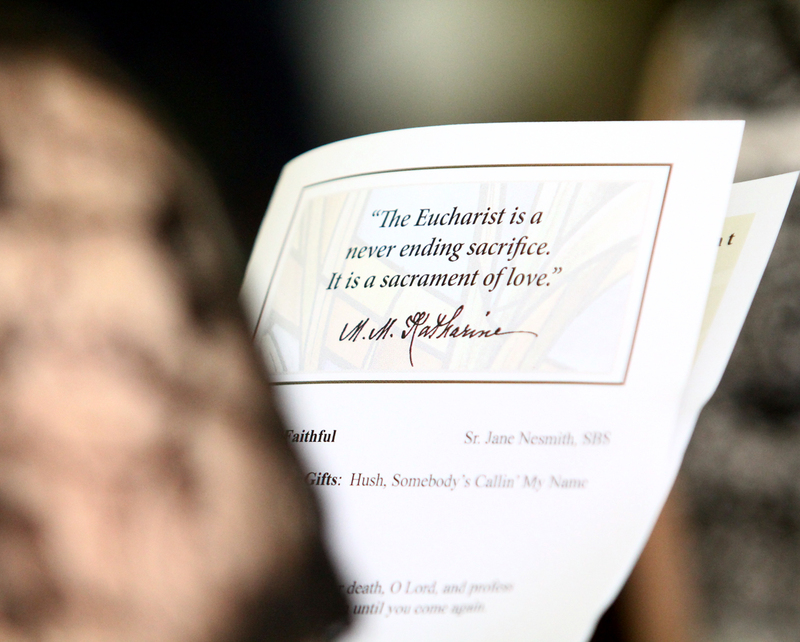 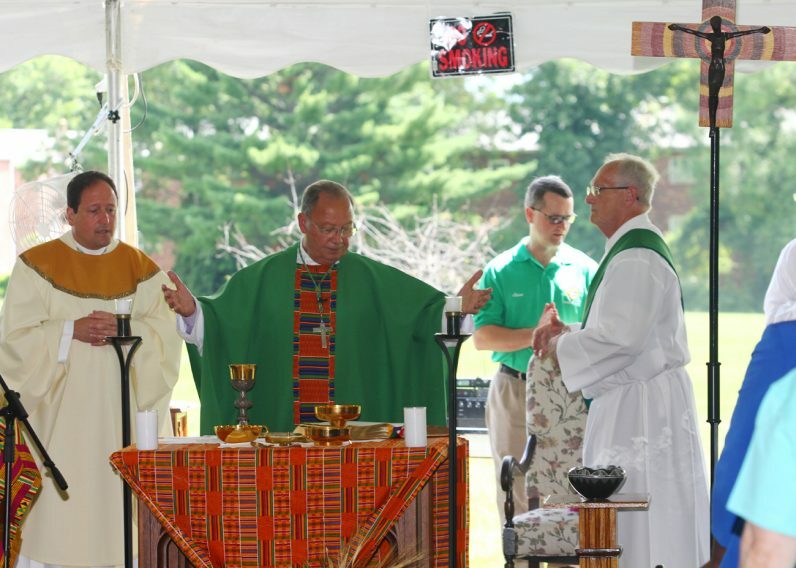 Bishop Curtis J. Guillory, S.V.D., celebrates Mass. Bishop John McIntyre distributes holy Communion. 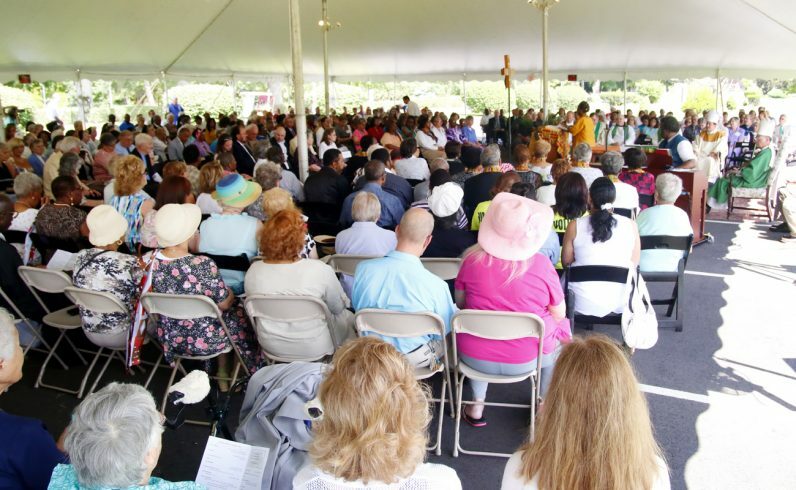 Michno, Melanie, Matt and Dan Conway from St. Stephen Parish in the Camden Diocese attend the anniversary Mass in Bensalem. 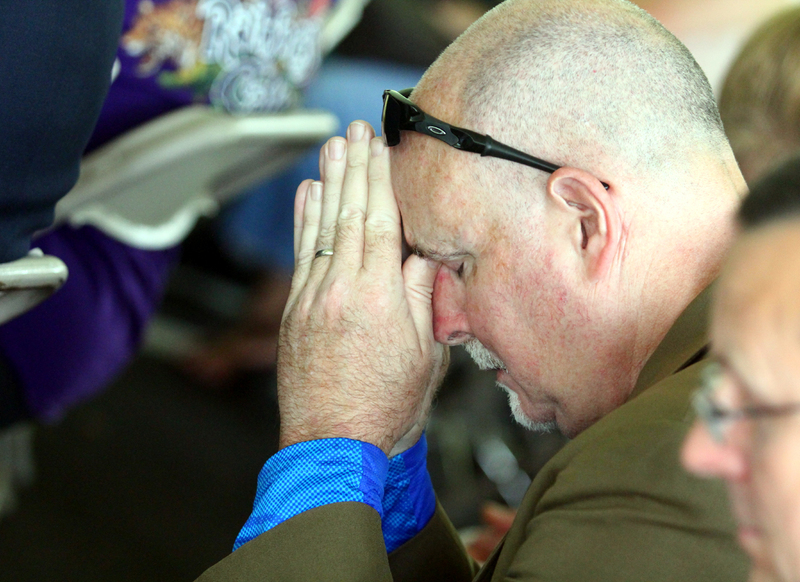 David Bolgiano prays during Mass. 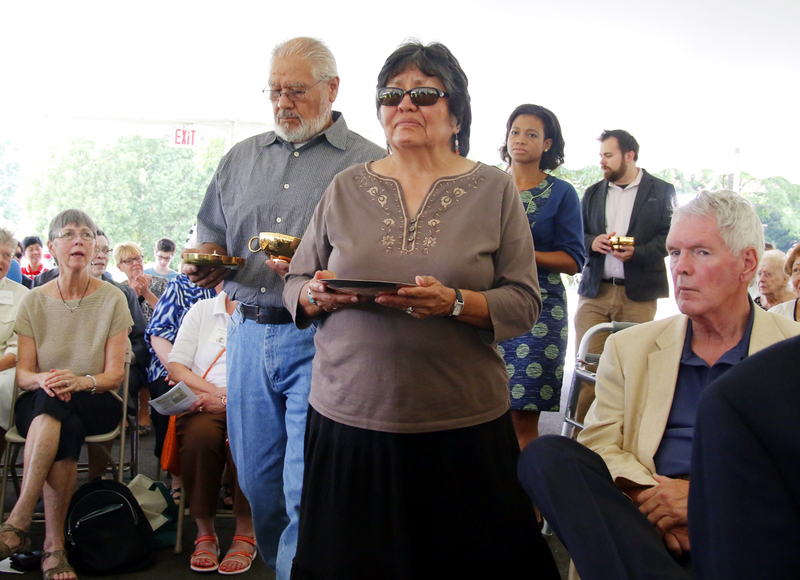 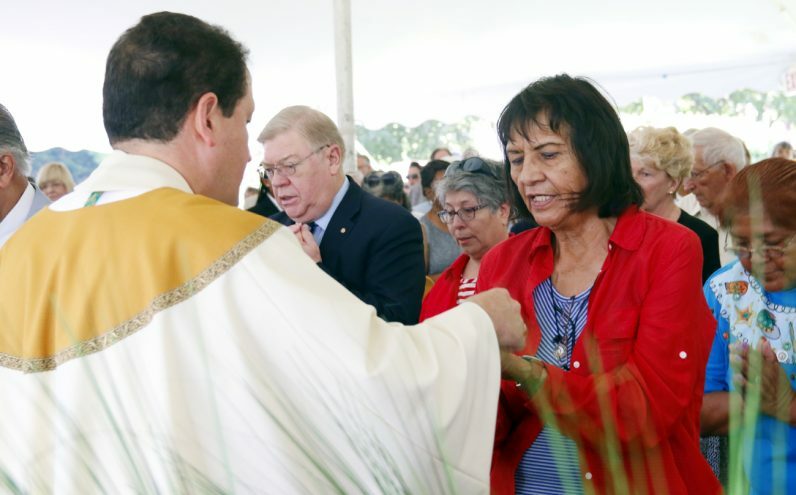 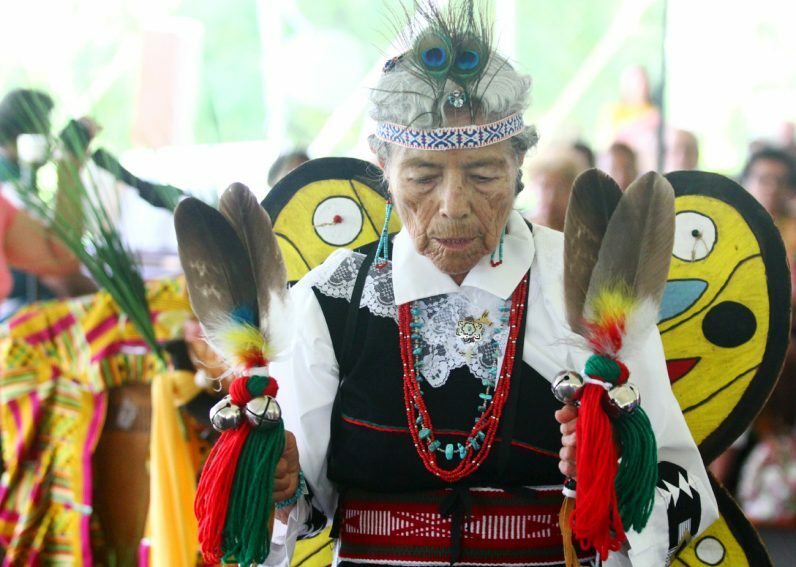 Blessed Sacrament Sister M. Rosita Shiosee prays in the style of her Native American heritage. More than 500 people attended the Mass marking 125 years since the founding of the Sisters of the Blessed Sacrament by St. Katharine Drexel at the order’s Bensalem motherhouse and shrine in her name. 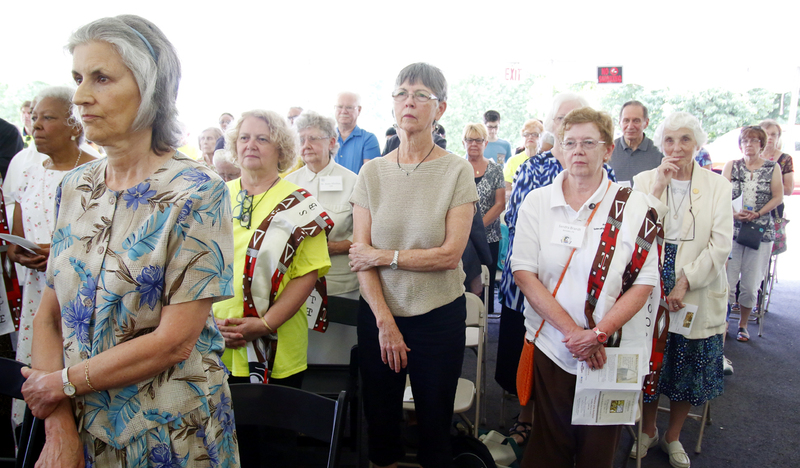 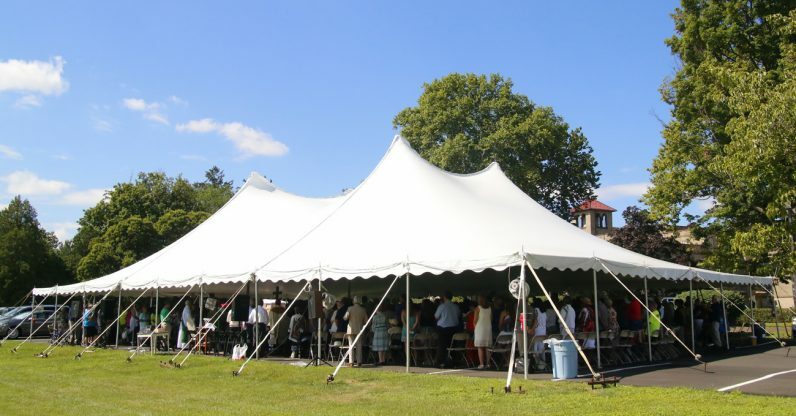 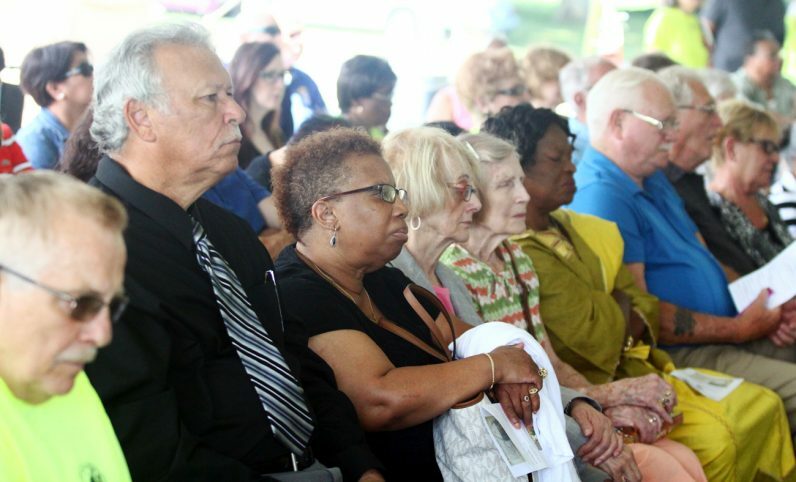 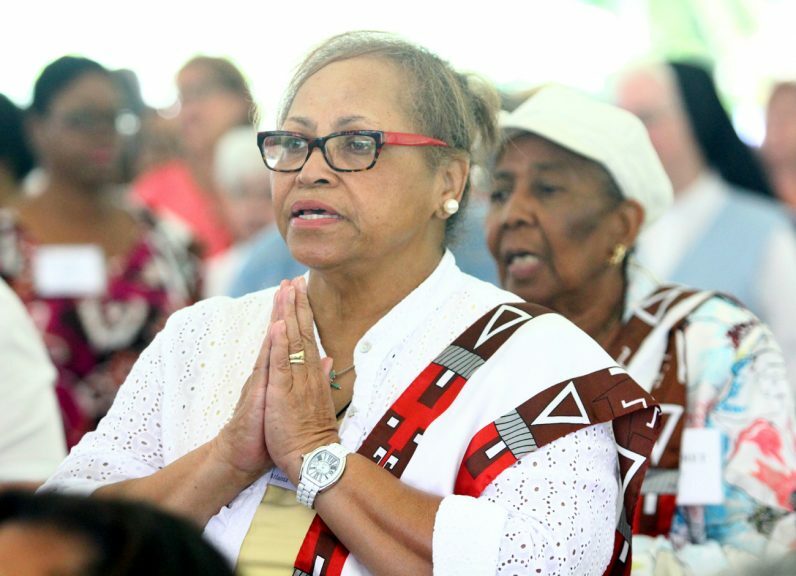 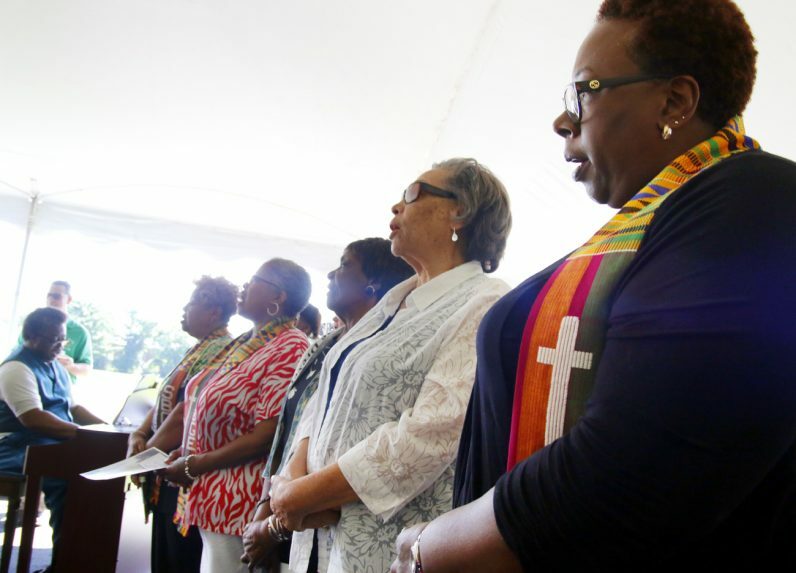 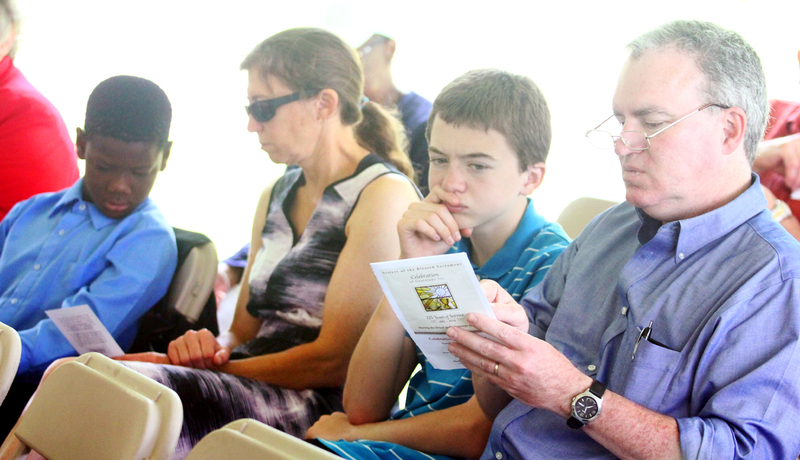 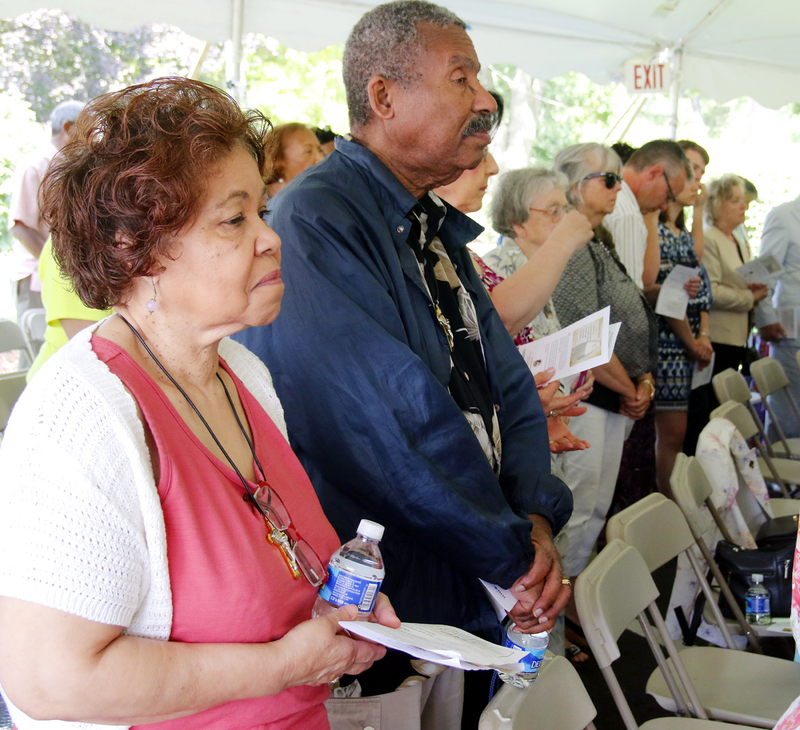 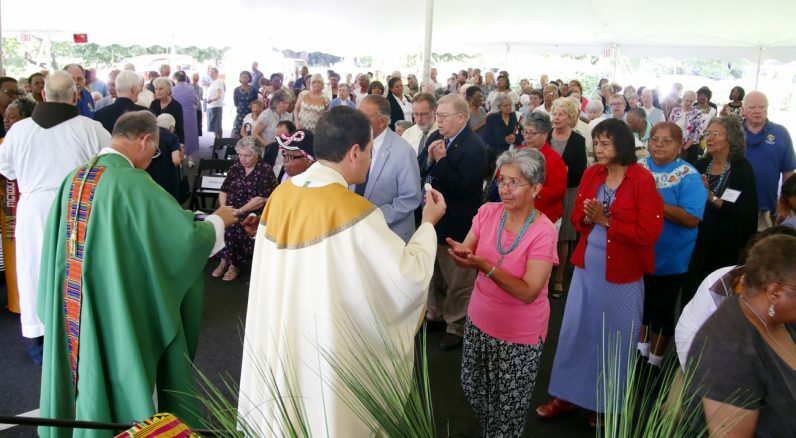 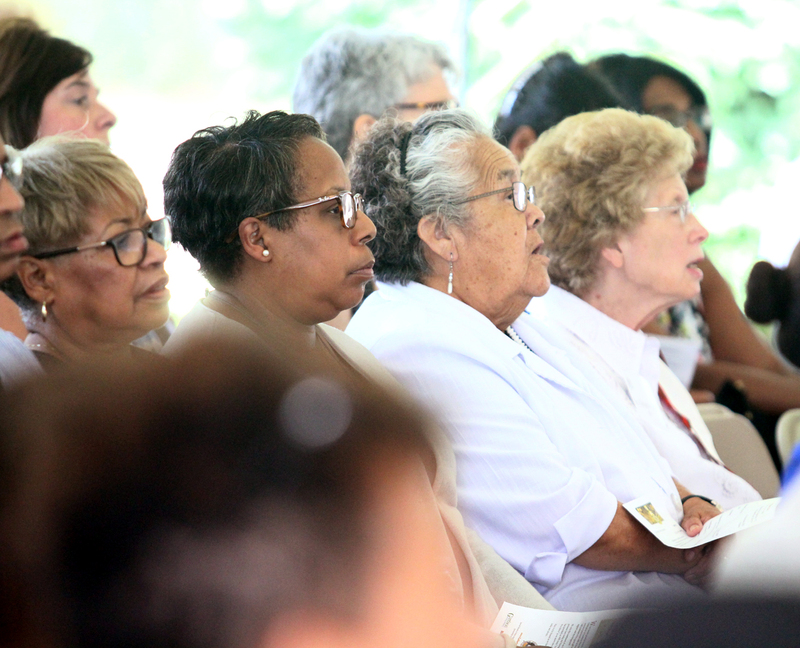 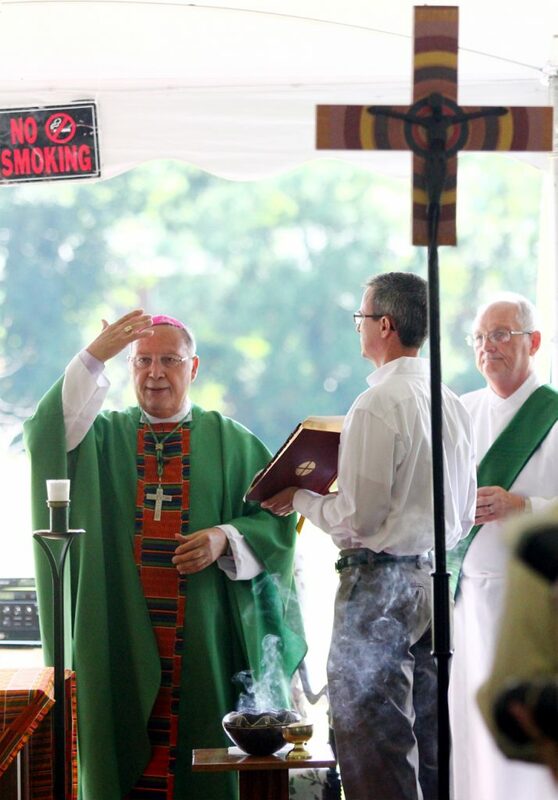 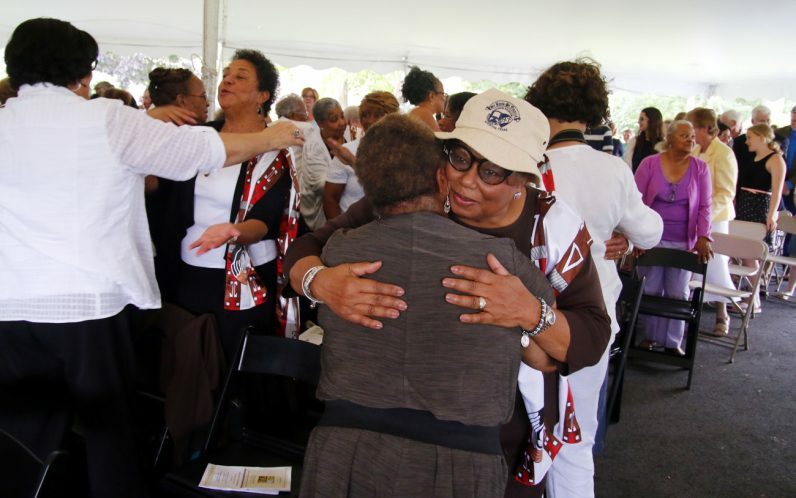 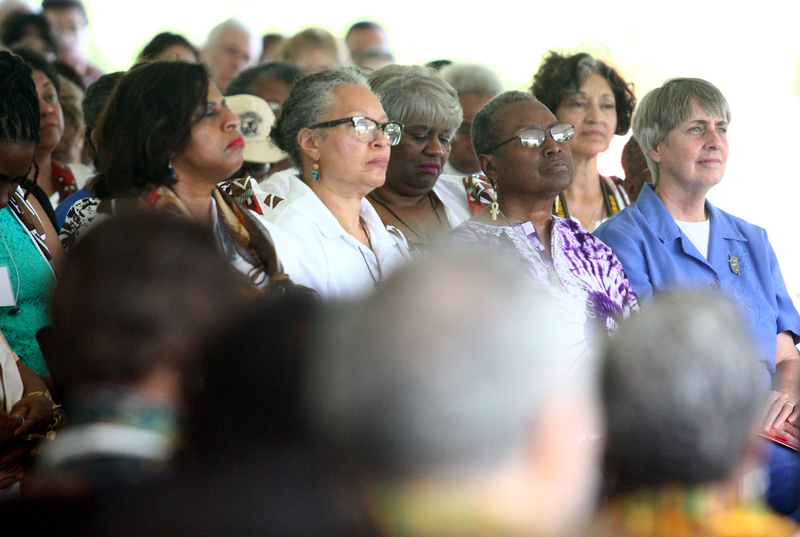 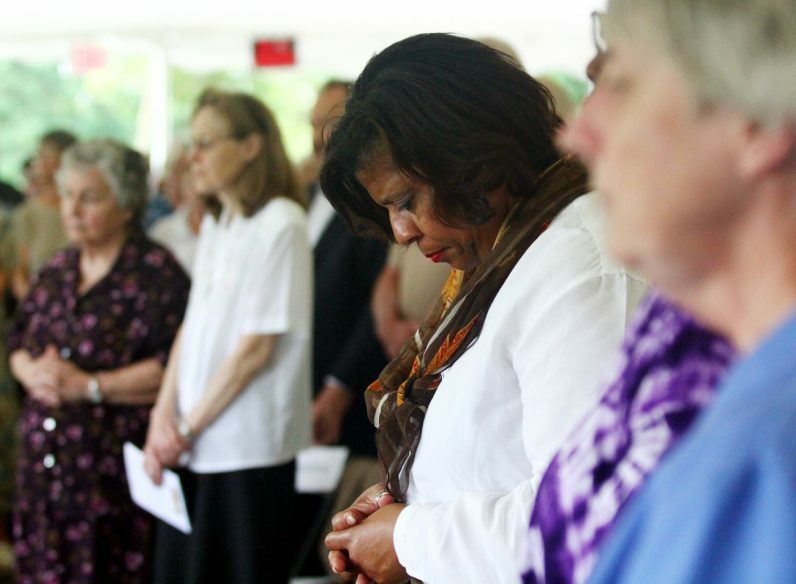 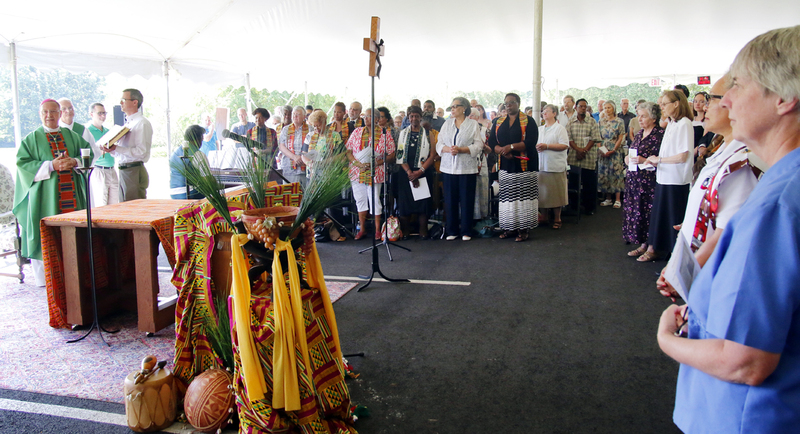 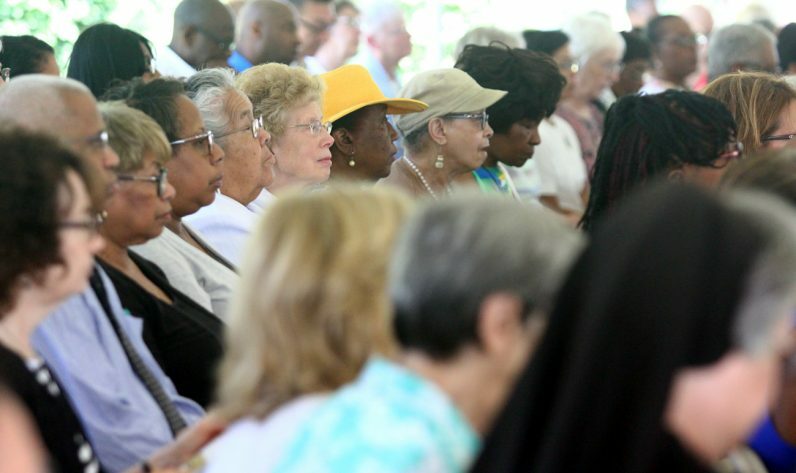 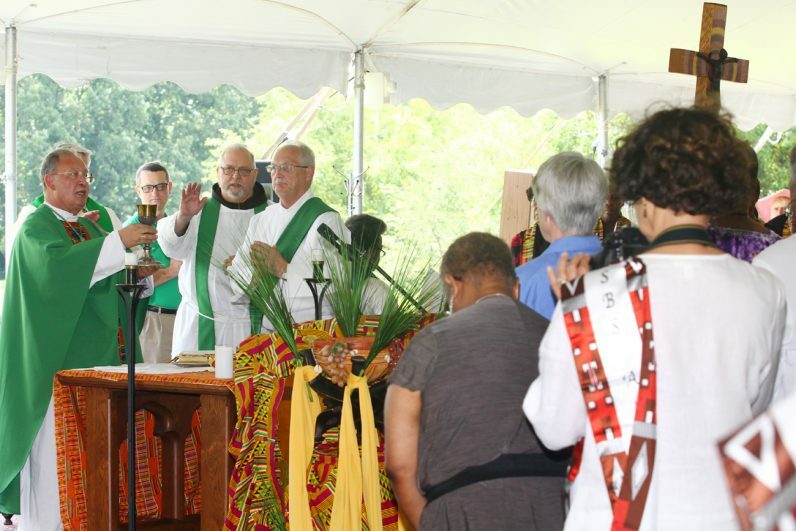 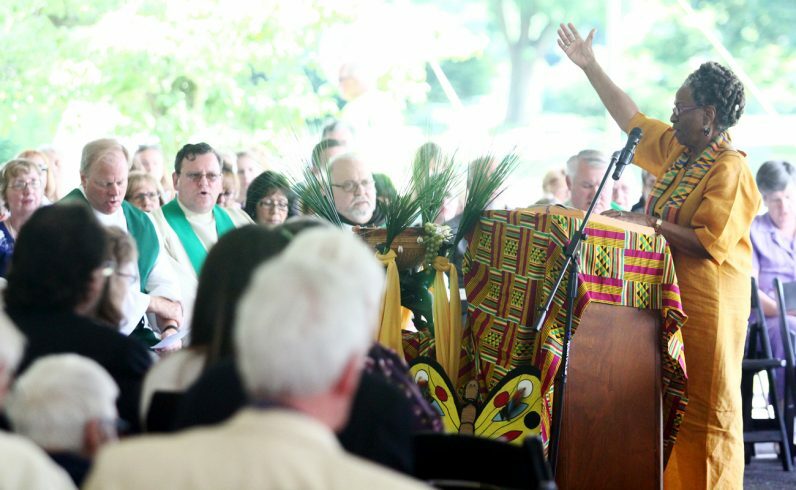 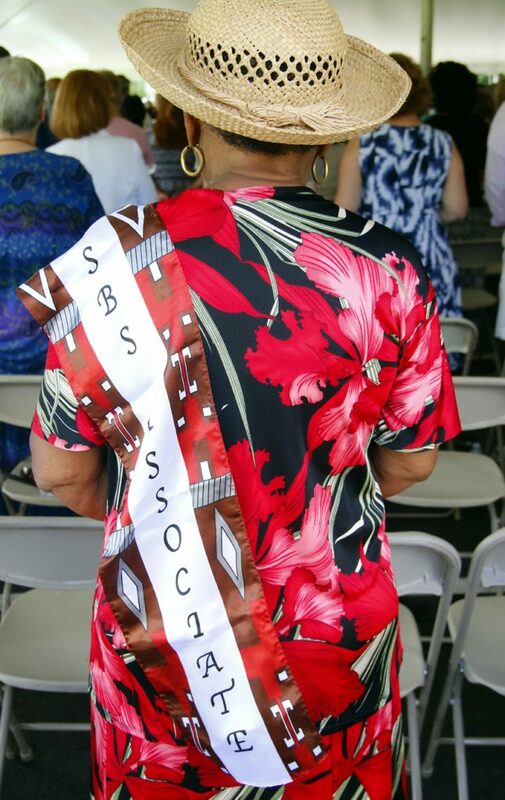 A tent accommodated some 500 worshipers for the 125th anniversary Mass of the Sisters of the Blessed Sacrament at their motherhouse in Bensalem on Sunday, July 10.